Home / Industry / T-X Program / USAF / USAF T-X: BOEING SOLD OFF ITS JET? USAF T-X: BOEING SOLD OFF ITS JET? 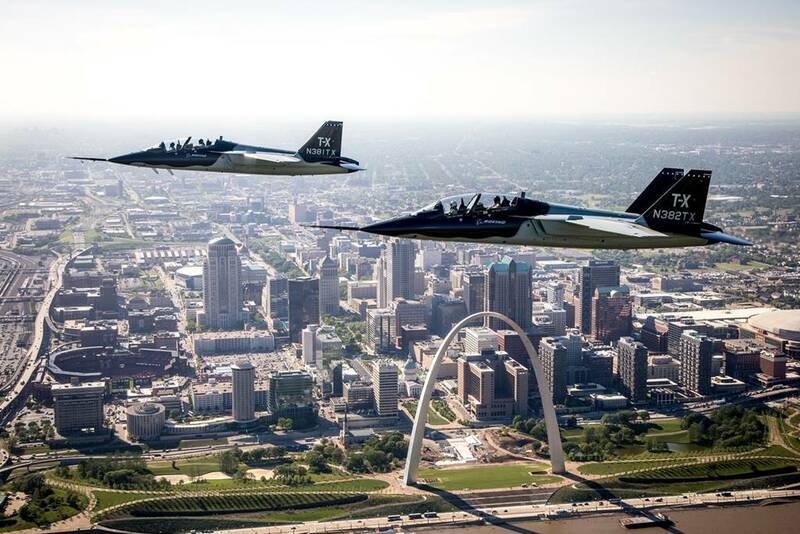 On September 27, 2018, USAF announced the winner of the T-X program. Boeing has won one of the most coveted contracts in the recent history of the aerospace industry. Since the start of the program, many online newspapers had bet on the victory of the Chicago-based company. Boeing was the only one contender to have developed a completely new aircraft specifically for the T-X program. The investment was really remarkable to risk losing the contract. In fact, the other companies had proposed solutions based on existing aircraft: Leonardo DRS offered the T-100 based on the proven M-346, while Lockheed Martin/KAI the T-50A based on the T-50 Golden Eagle. Many readers have written us to find answers to their doubts... Why USAF chose the T-X jet considering that it is a newborn program (First flight, Dec. 20, 2016)? The Boeing aircraft does not have a long experience in the field, only 2 prototypes have been produced to date. The first new trainers and simulators are scheduled to arrive at Texas's Joint Base San Antonio-Randolph in 2023. Then, all undergraduate pilot training bases will transition to the new aircraft, the Air Force said. The goal is to have the new trainer aircraft at full operational capability by 2034. The T-38 Talon has suffered several mishaps during recent years and the waiting time to get a new fleet is very long, but the USAF does not seem to be worried by the time factor. On Sept. 28, a KAI spokesperson confirmed to koreatimesus.com that Boeing's bid for the USAF T-X competition was "unbeatably low." “The U.S. Air Force originally planned to spend USD 19.7 billion, higher than the USD 16.3 billion forecast in the market, to replace 351 trainer jets with new ones”, he said. The contract will allow the Air Force to buy up to 475 aircraft and 120 simulators, the USAF said in a Sept. 27 statement, although the current plan is to buy 351 T-X aircraft, 46 simulators and associated ground equipment. Considering the big package, Boeing offered an incredibly low price: USD 9.2 billion! It means about USD 19 million per aircraft (this figure does not include the simulators). "Through competition we will save at least $10 billion on the T-X program," Secretary of the Air Force Heather Wilson said in a statement. It seems clear that the price factor was decisive in the T-X program.